Crafty Pets Photo Contest Winner....and honorable mentions! Thank you to everyone who entered our Crafty Pets Photo Contest this spring! We were delighted with some many fun & creative entries from our fans! We saw our fair share of adorable pups and helpful cats, but it didn't end there - sheep, fish, rabbits and even a unicorn were represented in the contest entries. To level the playing field, we used the Random Number Generator to pick our grand prize winner, because there were too many amazing entries to pick from. We will be in touch shortly to coordinate the delivery of your prize. 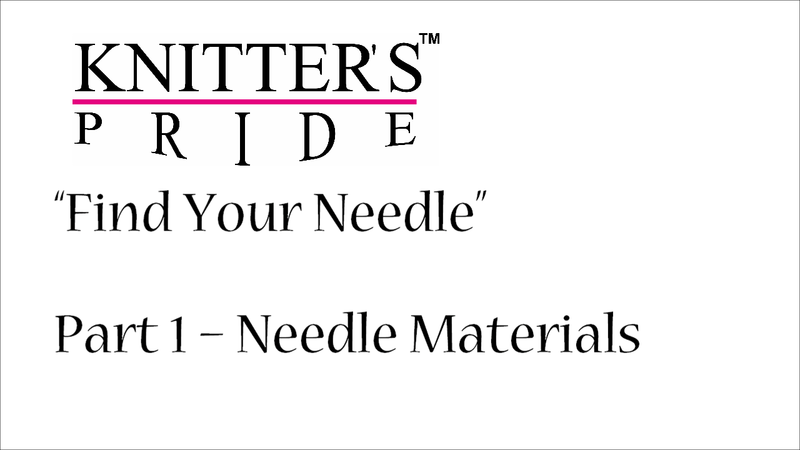 With so many adorable entries, we couldn't resist picking a few more prizes to award - we have 4 Needle & Crochet Gauges with Yarn Cutter to give out as honorable mentions! 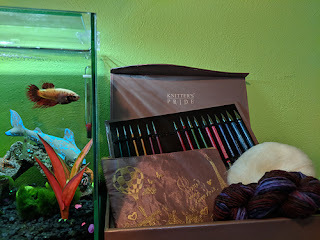 Not every company can count fish amongst their fans, but this entry by ForMomCrochet definitely demonstrates a preference for our Royale needles by her fishy friend, Sakura. 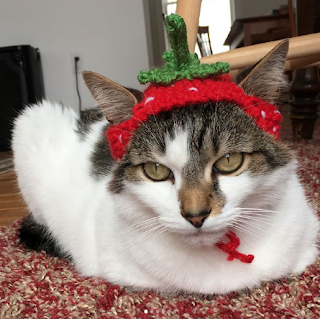 On Instagram, this cat wearing a hat posted by @VermontGirlAmy certainly deserves an honorable mention, don't you agree? Last but certainly not least, Ladybuglantern gets points for creativity with her fun entry featuring a unicorn! 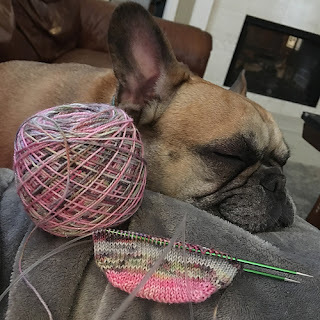 Even though our contest has ended, we hope you'll keep sharing your photos of pets & Knitter's Pride products over on Ravelry and Instagram - we can't get enough of them! This guest post was written by Jody Richards, founder and editor of Knotions Magazine. 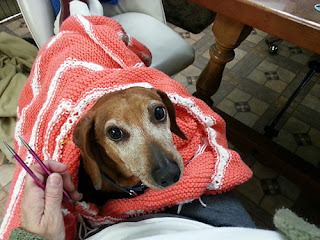 She’s been a knitter and crocheter for over 30 years and is one of the original users of Ravelry. 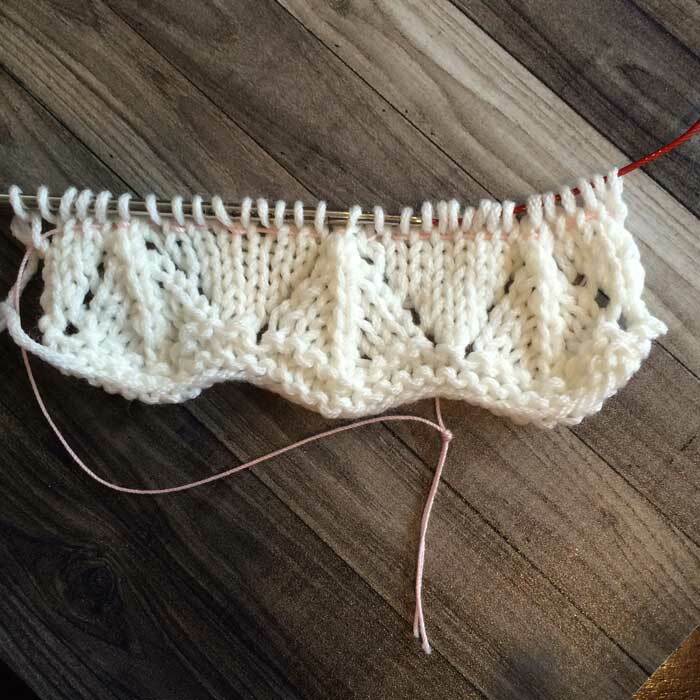 Jody shares even more great tutorials here on the Knotions site, and you might be interested in the latest eBook on shawls from Knotions – ShawlStar. All patterns are free on Knotions and it’s mobile-friendly for both tablets and smartphones. Don’t miss the PDFs of every pattern as well! Lifelines aren’t just for lace knitting. 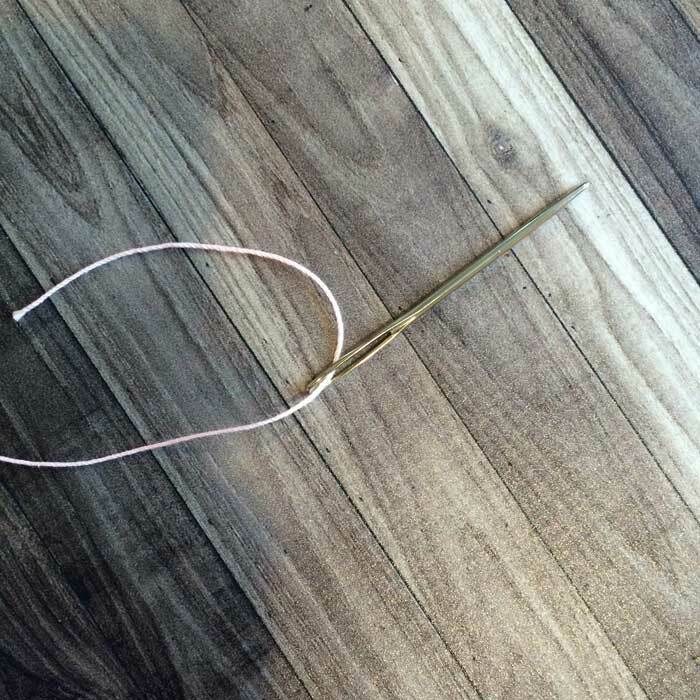 Read on to learn how they’re helpful for all knitting! Regardless of your experience level, lifelines can be a great time-saver and sanity-saver if anything ever goes wrong. just forget where you are in the sequence. If any of those things happen and you realize it several rows later, a lifeline can be a real lifesaver. Another reason for a lifeline is so you can launder the work before you’re done. I’m actually a big fan of this with top-down designs because yarn has a tendency to bloom and who wants to knit more than is needed? 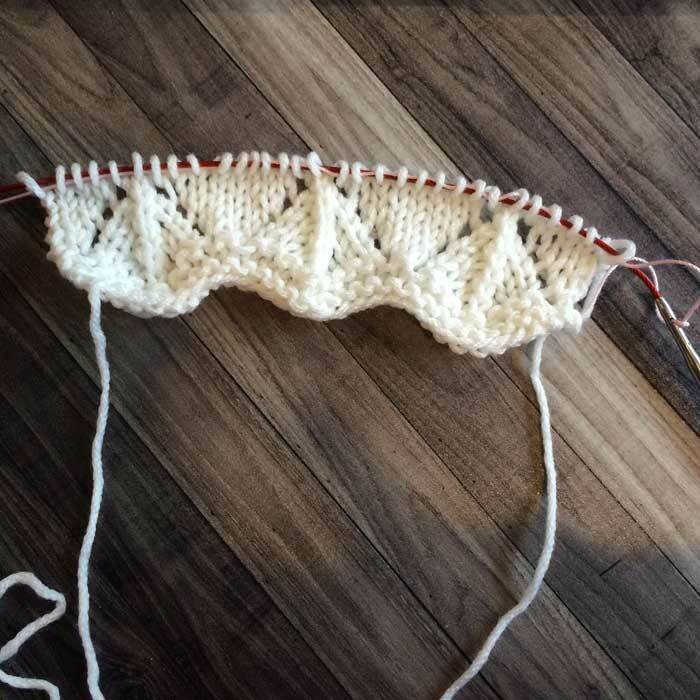 I also use lifelines after I’m done knitting a section and it looks good. It’s a way to say “things are good through this point”. 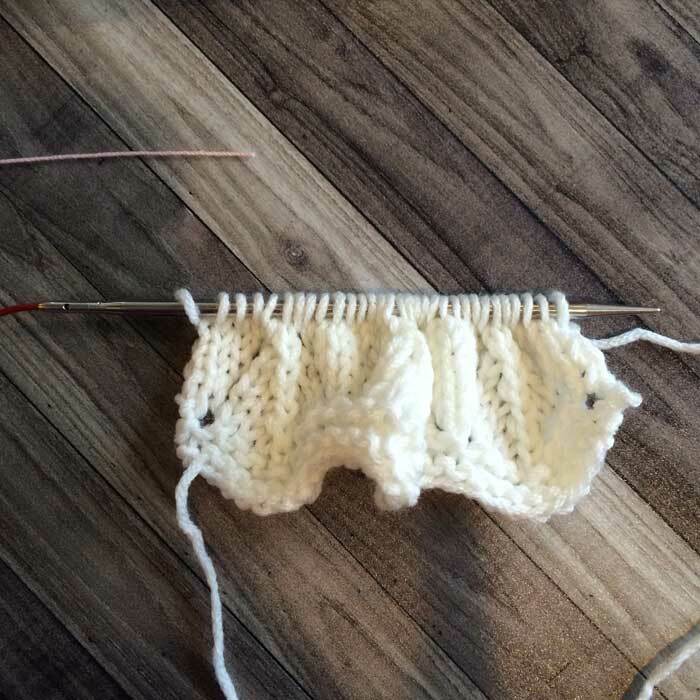 I personally HATE knitting ribbing, so I’ll often add a lifeline once I’m done with ribbing. This way, if I do have to rip, I won’t rip into the ribbing. 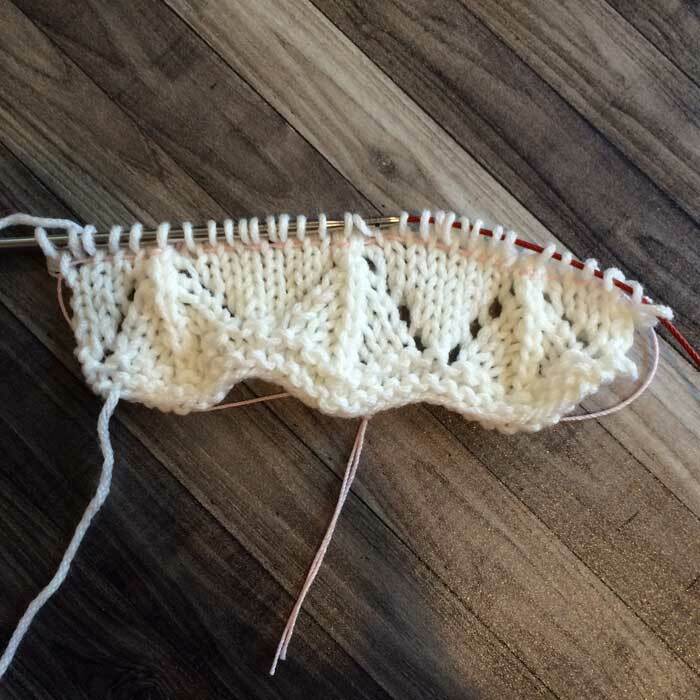 Because seriously, I don’t need to knit that ribbing a second time. It’s actually a pretty easy thing to put a lifeline in. 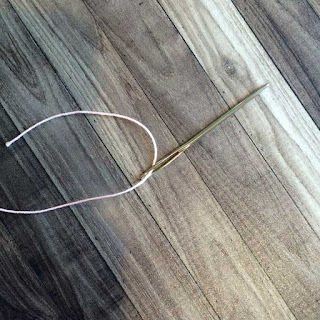 Thread a blunt needle with smooth yarn (I use a smooth cotton for this step). Make it easier on your eyes and use a contrasting color. Weave the yarn in through the whole row SKIPPING ANY STITCH MARKERS. I use the knitting needle and cable to help guide me. The important thing is that you DON’T miss any stitches. 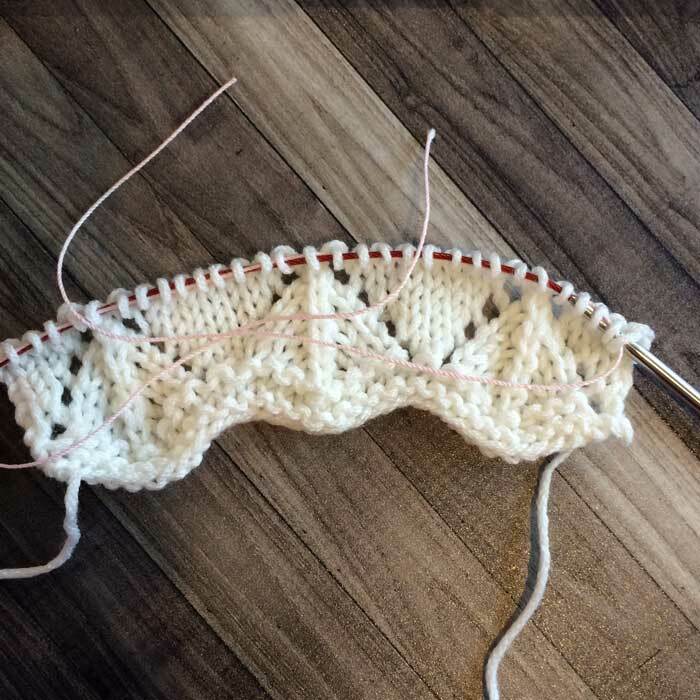 It’s easy to miss a yarn over or do something wrong around increases, so if your pattern has rest rows, I recommend doing this on a rest row. 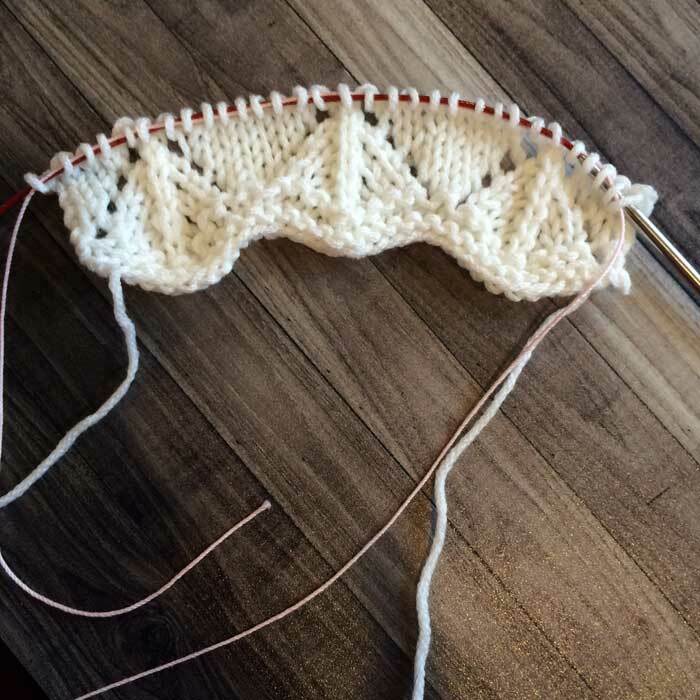 Now that your lifeline is in the entire row, make sure that the lifeline yarn doesn’t pull the work in and make it tighter. Then, cut the yarn to be a length of more than the width of the work so you can knot the ends together and, again, avoid it from pulling the work in at all. Indicate it on the printed chart. 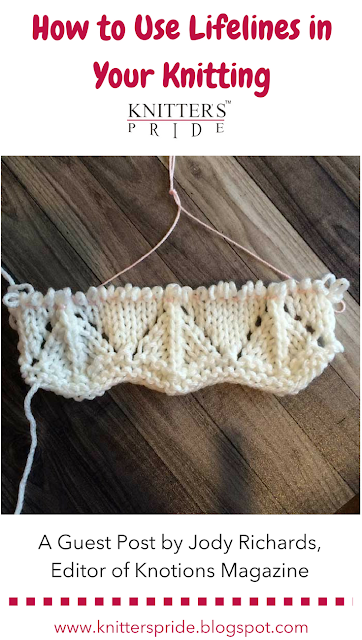 Take note of it in your Ravelry project. Keep track of it on your cell phone. These are just ideas – the important thing is that you DO it. If you find yourself in need of ripping down to deal with an error, have no fear because that’s why you put in the lineline! Just take your needle out of your work and rip down. As long as you caught every stitch when you added the lifeline, the ripping won’t go beyond that row. Now that you’ve ripped down, you need to put the work back on the needles. Just follow the opposite process this time. 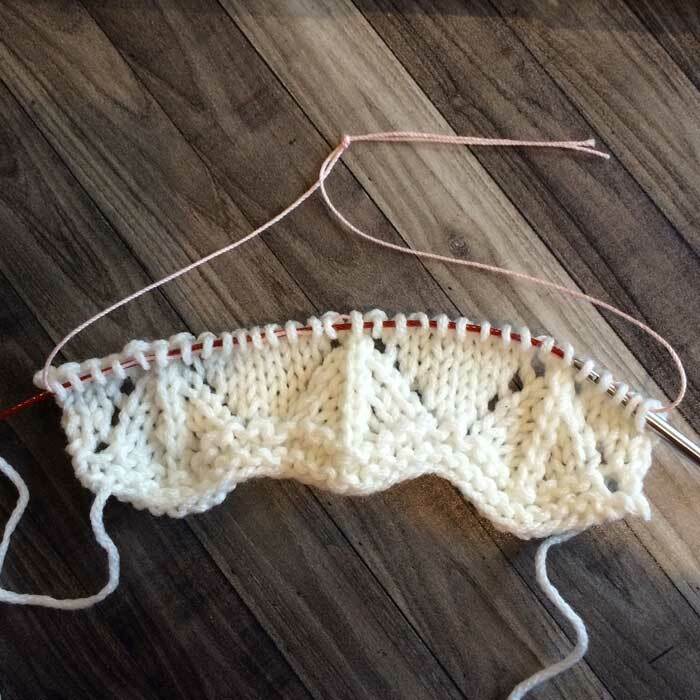 Once you’ve put the work back on the needles, you’re ready to start knitting again! 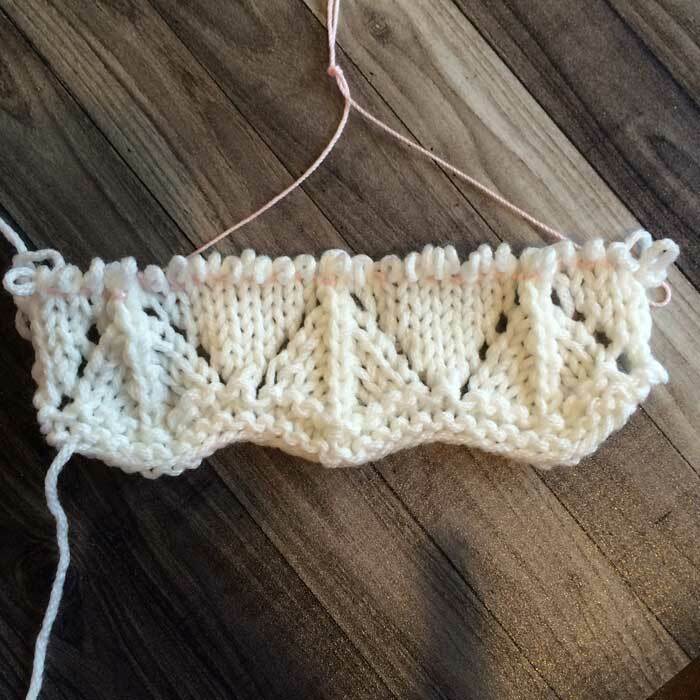 Just make sure you start working on the appropriate row (you took note of that as I suggested above, right?) and that you don’t catch the lifeline while you’re knitting that first row. 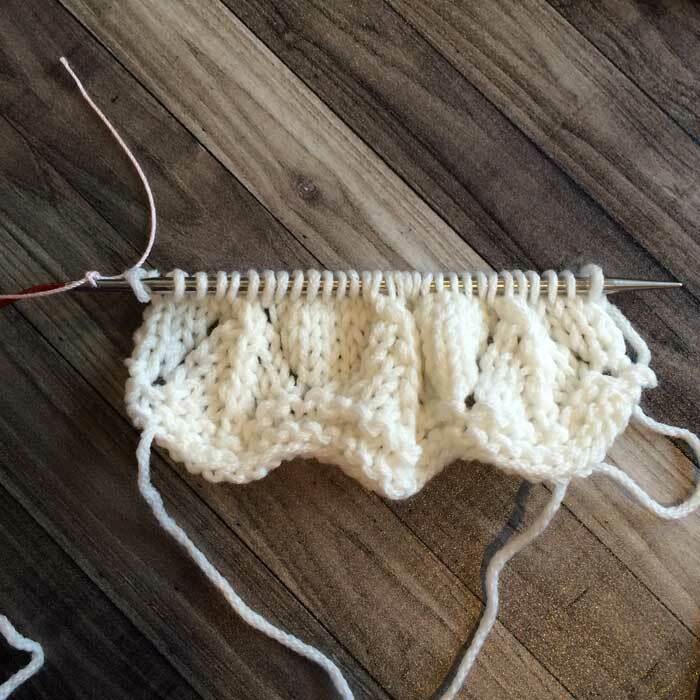 Just like people prefer to knit in different ways, there are multiple ways to thread a lifeline. 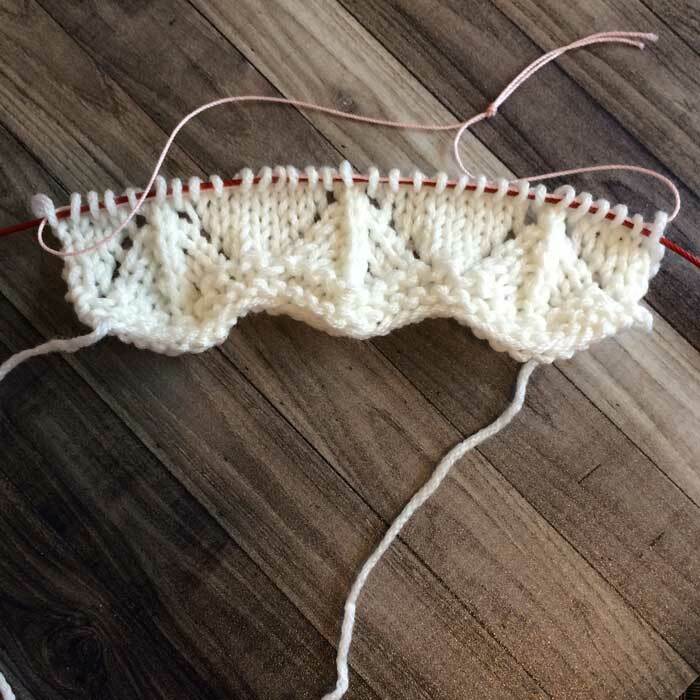 If you have interchangeable needles with the little tightening holes, you might want to try this way instead. In order to do this, you need to knit the work using a pair of interchangeable needles. Step 2: Fish the lifeline yarn through the tightening hole. Knot it loosely (I say loosely because you’ll need to undo it in Step 4 below. Step 3: Scoot the work down the needle and onto the cable to it’s all on the lifeline yarn. Step 4: Untie the knot at the tightening hole. Knot the lifeline yarn together. Step 5: Continue knitting regularly, being careful not to catch the lifeline yarn when knitting. I gave you two ways to add a lifeline to your work and steps on how to remove it. I also gave you a variety of ideas on ways to use a lifeline in your work because it’s more than just for lace. Make sure you give them a try! They’ll likely save you time and make your work nicer!